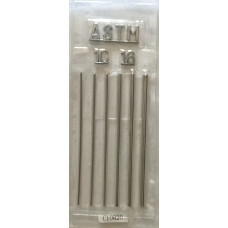 IQI for Radiography are available in stock. Next Day Free Delivery. 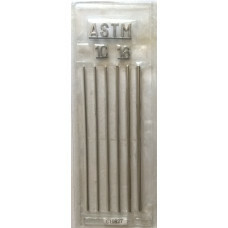 ASTM IQI Wire Type, Carbon Steel or Type 300 Series Stainless Steel, 1C-16, Length: 3 Inch..
ASTM IQI Wire Type, Carbon Steel or Type 300 Series Stainless Steel, 1C-16, Length: 4 Inch..